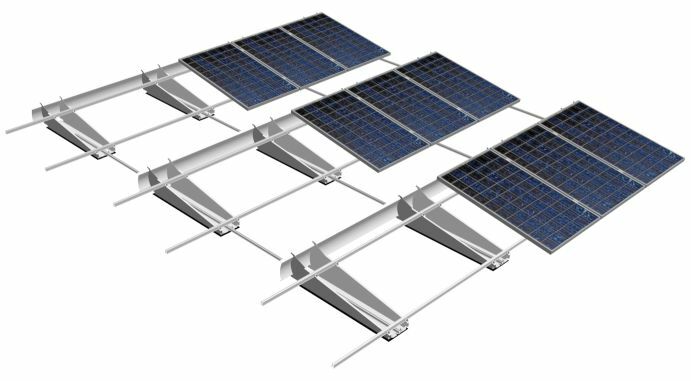 Mounting system for all common industrial flat roofs - with up to 95% roof area utilization. The new TIC F box racking system suits all common industrial flat roofs and optimally utilizes the roof area. As of June 2012 TRIC F box will complement the successful series of TRIC solar racking systems. TRIC F box is suitable for all industrial flat roofs and impresses with its easy installation, flexible operation and low weight. The system can be installed using only two tools, and it minimizes installation time by up to 50% compared to conventional alternatives. 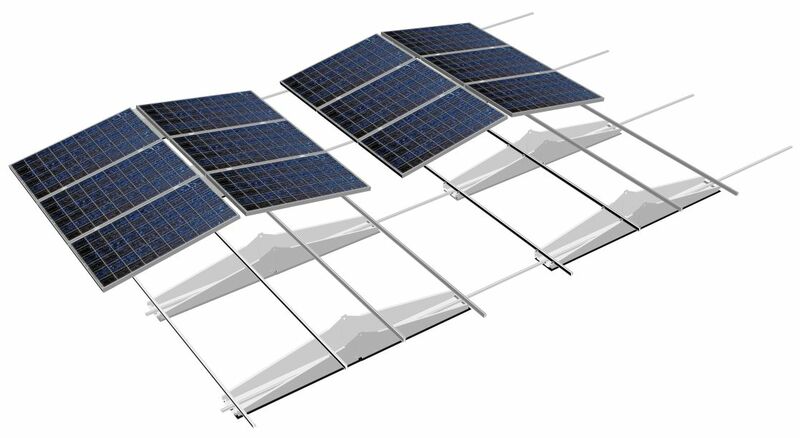 The two variants of the TRIC F box allow southern orientation as well as east / west orientation of the solar power system. The vertical portrait arrangement of the panels and the incidence angle of 10° allow using 95 percent of the available roof area (east/west system). The aerodynamic design reduces the structural load with minimal additional weighting – without penetrating the roofing. Project-based structural calculations are provided by Wagner & Co design engineers free of charge. For years, Wagner & Co successfully developed the TRIC mounting systems. They became so successful that in 2010 a joint venture was formed with the German solar company Frankensolar to further improve the market position of the new independent TRIC brand. With success! The Wagner & Co Solar Technology GmbH, founded in 1979, stands for the logical and consequent further improvement of solar energy systems. More than 380 employees in Germany, Europe and the United States work towards this goal. The company offers solar power systems as well as solar thermal and pellet heating systems for residential and commercial use. Quality excellence and good value for money are proven by many awards from the leading independent consumer testing organizations Stiftung Warentest and Ökotest. Partners of Wagner & Co are, among others, Bosch Solar Energy AG, Schott Solar AG, REC Solar Inc., Panasonic Europe Ltd., Hyundai Heavy Industries Co. Ltd., LG Electronics, Inc., SMA Technologie AG, Danfoss GmbH, and Fronius International AG. Frankensolar is one of the leading wholesalers in Germany and Europe for grid connected solar power systems (PV systems). With more than 20 years experience in the photovoltaic market, Frankensolar supplies an extended network of professional installers with PV systems. Frankensolar was founded in 1990 in Nuremberg. Today the Frankensolar group employs more than 100 employees, trains its own personnel and is present in all German states as well as in various global markets. Since its founding days Frankensolar focused on man and the environment. The knowledge of renewable energy as the only alternative for the future energy supply and extensive technical know-how are the foundation for successful work and long-term partnerships.For more information on www.frankensolar.de . 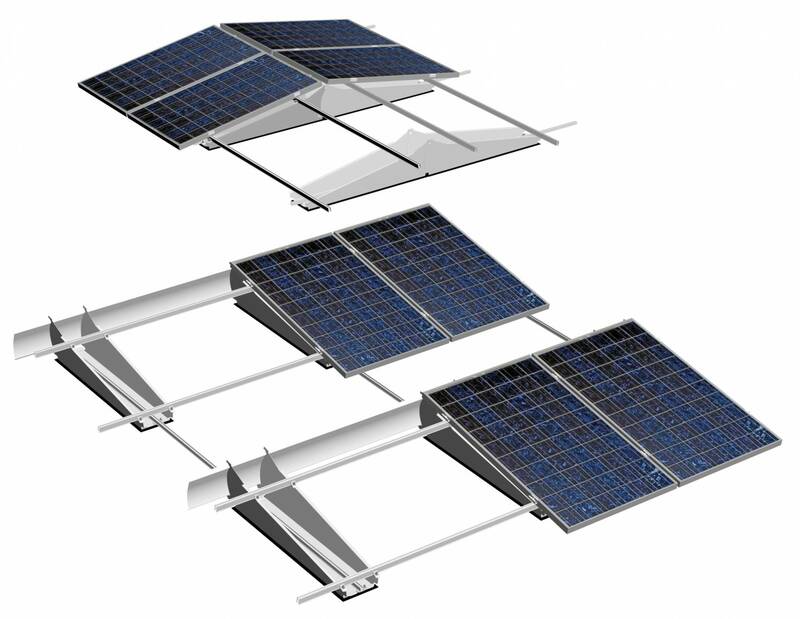 The TRIC F box system with east/west orientation allows using up to 95% of the roof area. The TRIC F box racking system reduces the installing time by up to 50% - here the variant with southern orientation. 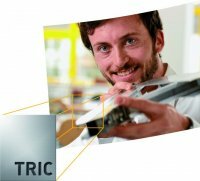 The TRIC concept is simple - fast and economic mounting for all applications. Bilddownload 1: The new TIC F box racking system suits all common industrial flat roofs and optimally utilizes the roof area. Bilddownload 2: The TRIC F box system with east/west orientation allows using up to 95% of the roof area. Bilddownload 3: The TRIC F box racking system reduces the installing time by up to 50% - here the variant with southern orientation. Bilddownload 4: The TRIC concept is simple - fast and economic mounting for all applications.